Interventional radiology (IR) is not a new field. IR physicians were the pioneers of minimally invasive surgery. IR invented heart catheterization, stents and angioplasty. Dr Charles Dotter, an Interventional Radiologist, developed angioplasty to open arteries over 50 years ago. Stents were developed by an Interventional Radiologist named Julio Palmaz in 1985. These techniques have subsequently learned only recently by other physicians such as Cardiology and Vascular Surgery. IR has been used for effective diagnosis and treatment of many ailments and diseases for many years including: angioplasty and stent placement, catheterization and angiography, cancer treatments, biopsies, dialysis access maintenace, and treatment for varicose veins to name just a few. Interventional radiologists use x-rays, fluoroscopy, computed tomography (CT) scans, ultrasound (US) and magnetic resonance imaging (MRI) to obtain images which are then used to direct interventional instruments such as needles, catheters and instruments inside the body for non-surgical diagnosis and treatment. The physician is able to use local anesthesia and make a small incision, minimizing the trauma to the patient. Many patients can now be treated by an interventional radiologist instead of a surgeon, and eliminate long hospital stays and recovery times altogether. Interventional radiologists are physicians who have completed a college degree, four years of medical school, a year of training in general medicine or surgery internship, a four-year diagnostic radiology residency program, and then one or two years of fellowship in vascular and interventional radiology. Interventional radiology (IR) is not a new field and is used by physicians specializing in vascular surgery, oncology, gastric, kidney and liver diseases, women’s health, and back problems. IR has been used for effective diagnosis and treatment of many ailments and diseases for many years including: angioplasty and stent placement, catheter placement, drain insertions, biopsies, dialysis access maintenance, embolization of arteries and even laser treatment for varicose veins. Interventional radiology is now a leading non-surgical option to reduce and eliminate fibroid tumors in the uterus. Uterine Fibroid Embolization (UFE) allows physicians to use interventional radiology to inject tiny particles into the artery leading to the fibroid to cut off the blood flow to fibroid tumors. Once the artery is completely blocked, the fibroid will no longer have a regular supply of blood causing the tumor to shrink and reduce or eliminate symptoms. 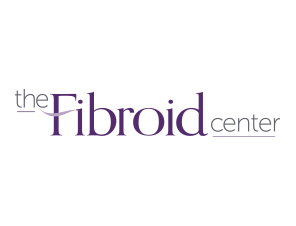 Interventional radiology is the preferred choice for diagnosis and repair of fibroid tumors in the uterus and can be performed as an outpatient procedure. IR eliminates the prolonged pain, hospital stay, bed rest and recovery time associated with traditional hysterectomy surgery where the uterus is removed. The benefits of IR treatments include a 90% reduction in fibroid symptoms. IR treatments of fibroid tumors have been clinically shown to improve quality of life.